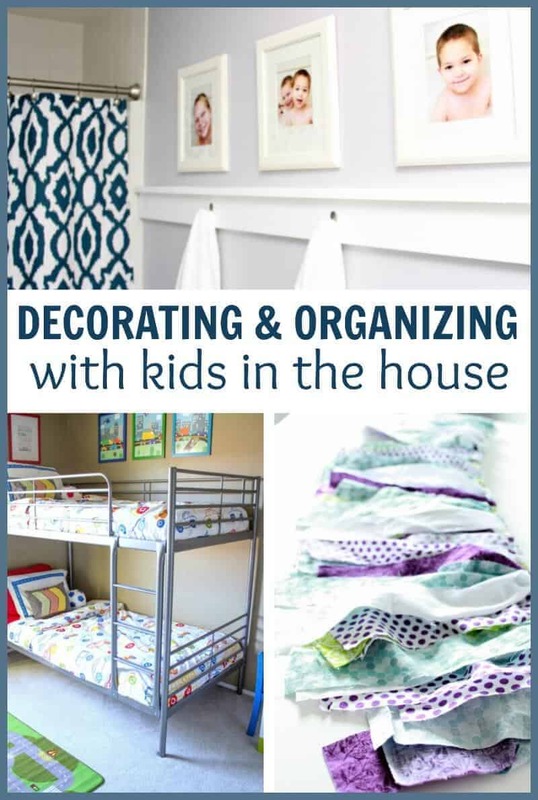 As I’m knee deep in kid room renos over here I’m so excited to share with you some awesome advice from a DIY/decor blogger Abby at Just a Girl and Her Blog. Today we’re talking organization! This post contains affiliate links for your convenience. I love decorating blogs and often follow them for inspiration as to how I can make the home a happy place. Since I’m here day in and day out with the kids it’s important to me to have it look pretty and organized. As much as I can anyway. I’ve followed Abby’s blog for some time and love her organizing freebies, awesome newsletters, and all around inspiration. I was so happy when she agreed to do an interview. Give her a warm welcome and go check out all her awesomeness when you’re done. 1. Tell us something very interesting (or very uninteresting) about your family! I’m outnumbered! My family consists of myself, my husband, and our two sons Connor and Caleb (ages 3 & 6), so I’m surrounded by boy stuff 24/7! 2. What’s the most surprising thing about becoming a mother? I only had a sister, so I was totally surprised at how WILD little boys are! They have endless energy and are constantly on the go. 3. 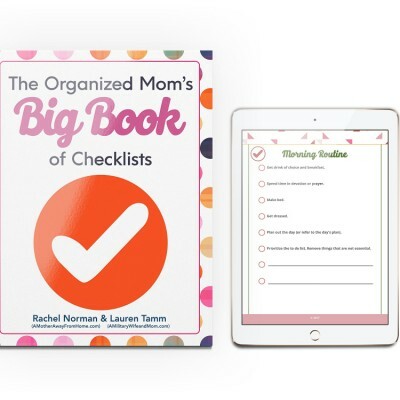 Your blog has tons of great organizing resources, have you always been so organized? Weeellllll…that’s debatable. ;) Truthfully, I am naturally very scatterbrained (I think it’s an occupational hazard of bing a creative! ), so once I realized my scattered tendencies, I started to create systems to try to help myself stay more organized. I am constantly tweaking and testing new strategies until I find ones that work for our family. 4. What are your favorite tools for organizing? Both electronic and in various places in your home. I’m obsessed with labeling, so my Silhouette cutting machine and my label maker are must-haves for me. I also love bins and vessels in all shapes and sizes and am always collecting them whenever I’m out and about. 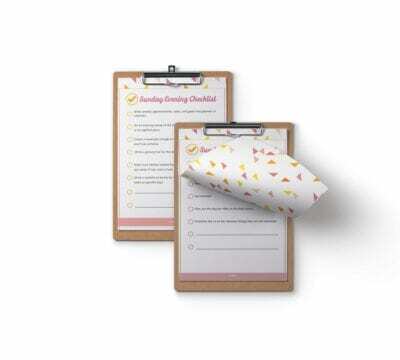 Ooh and organizing printables! I make printables for everything! 5. What is your philosophy for keeping a nice home while having young children? It’s a balancing act. If I tried to insist on 0 mess at all times, I think we would all be miserable. We definitely have our fair share of times where our house looks like a tornado has blown through. That being said, we have clean up times each day and the boys each have little chores that they’re responsible for. We use labeled bins and every toy has a specific “home,” so it doesn’t take long to get everything straightened up again. 6. One piece of advice for busy moms of little ones who want their homes to look good, but aren’t sure where to start? Purge, purge, and purge some more. When I’m having trouble keeping a space organized, it’s usually because I’m trying to cram too much in there. I used to think that the solution was bigger bins or even a bigger house, but that’s just giving me more room to store my clutter! By trashing, donating, or selling the items we no longer use, we minimize clutter and it’s a lot easier to keep our home looking clean and organized. 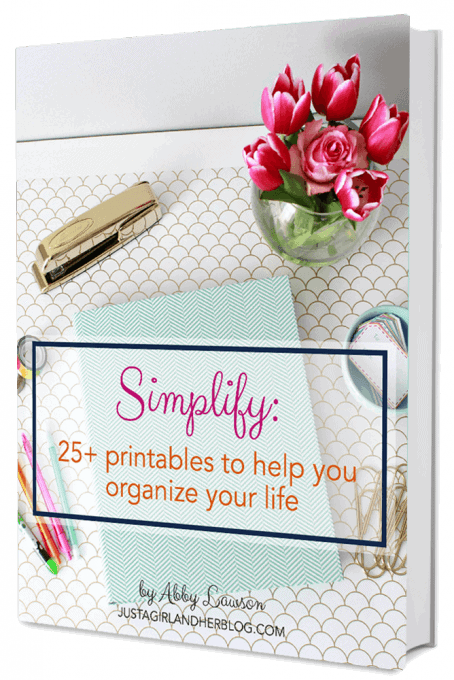 Check out Abby’s book on simplifying and organizing your home! I think that is key when you have kids around. You can think up the perfect system and implement it, but more often then not there will be something you haven’t thought about and you have to go back and change something. But if you did your “research” right in the beginning. (what is the problem, why is it a problem, when does the problem manifest, who contributes to it being a problem etc.) then it is simply tweaking your solution until you get it all right.